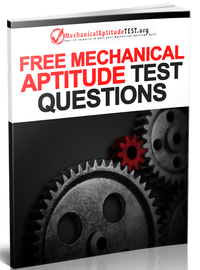 These free mechanical aptitude test sample questions will measure your understanding of mechanical concepts. The examples will be displayed to you giving you multiple options. Once you have selected your answer be sure to have a look below to learn how they are properly solved. Where can I encounter a mechanical aptitude test? These tests may be encountered by multiple fields. These include fire fighters, the army, certain trades and many more. They also vary in difficulty depending on the field. No matter what field you are in, it's important to be prepared. There is no such thing as being "too ready" for a test so it is highly suggested that you go though as many examples as possible.